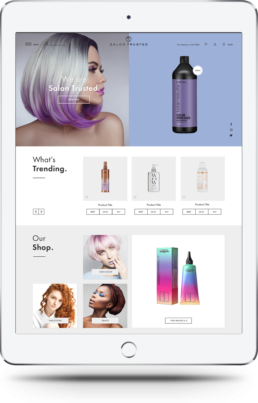 An exciting new hair & beauty affiliate e-commerce website, with a focus on supporting local hair salons. 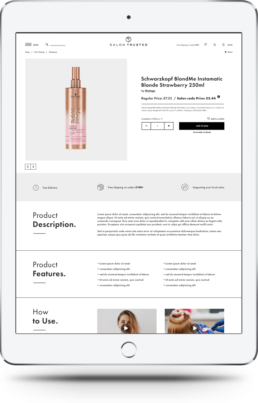 Salon Trusted wanted to position themselves in the market with the other mainstream beauty sites, while also allowing the customer to support their local salon when purchasing their favourite products online. They envisioned their brand as modern, trendy and with ethnic outlook in mind. For this brand identity I incorporated the ‘S’ and ‘T’, of the company initials, into a 'yin-yang' like symbol. Attempting to create a bespoke mark for them, one which suggests femininity, passion and growth. 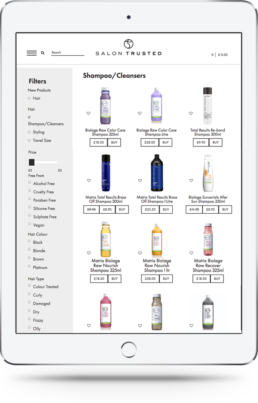 The website is clean and minimalist, with a lot of white space, making it easy for the customer to navigate.